One common question is always ‘what gear do you use’, and for me the answer is always changing. For everyone who wants to know, I’ve done a short write up on all my current camera and travel supplies, complete with links to Amazon so you can check out the specs and the price just by clicking. I chose the Fujifilm XT-2 because it was one of the top rated mirrorless cameras. Combined with the superior line of Fujifilm lenses, this is a perfectly compact travel camera that produces high quality images in a smaller package than a typical DSLR or full frame. I chose Fujifilm over Sony because it was smaller, lighter, and more user friendly. 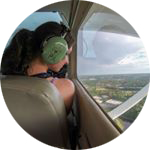 There is something special about aerial photos. Because I’m short, drones are even great for getting a shot just a few feet higher off the ground than I can reach. 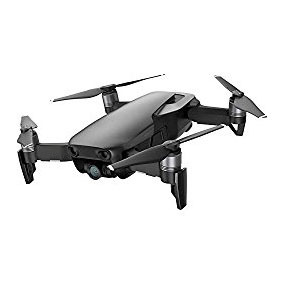 I love DJI drones the most because they’re extremely easy to fly, and this Mavik is perfect for traveling with because it folds up super small. When I first started traveling and jumping into photography, this is the camera I started out with because it’s just about as travel-sized as you can get. I still love GoPros for anything underwater, time lapses, slow motion and just capturing video in general. They’re also great for ‘trap’ photography, meaning you can set it up to shoot continuously so you can enjoy an activity with the camera running, then go back later to check out your shots. All my lenses have built-in image stabilization which helps with capturing sharp, clear photos. This is my most versatile everday lens and the one I use most of the time. It’s great for almost any photo you need to take on a typical day of exploring. This lense is a new addition to my collection. It has optical image stabilization which helps capture sharper images at lower shutter speeds. 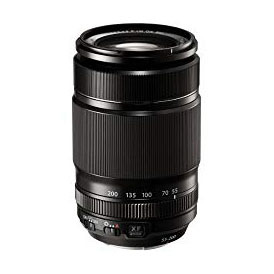 I use this lens for distant subjects that I want to zoom in on. This is my wide angle lens. It’s perfect for getting a wider view of landscapes, architecture or point-of-view shots where you need to capture more of the surroundings, like the ‘follow me to’ style photos. 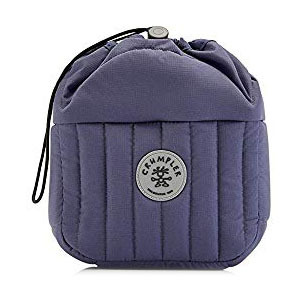 This padded pouch has 3 sections for camera gear so it stores my camera and 3 lenses perfectly. It also fits inside all of my other bags so I can turn any backpack, tote bag or duffel into a camera bag by putting this inside. 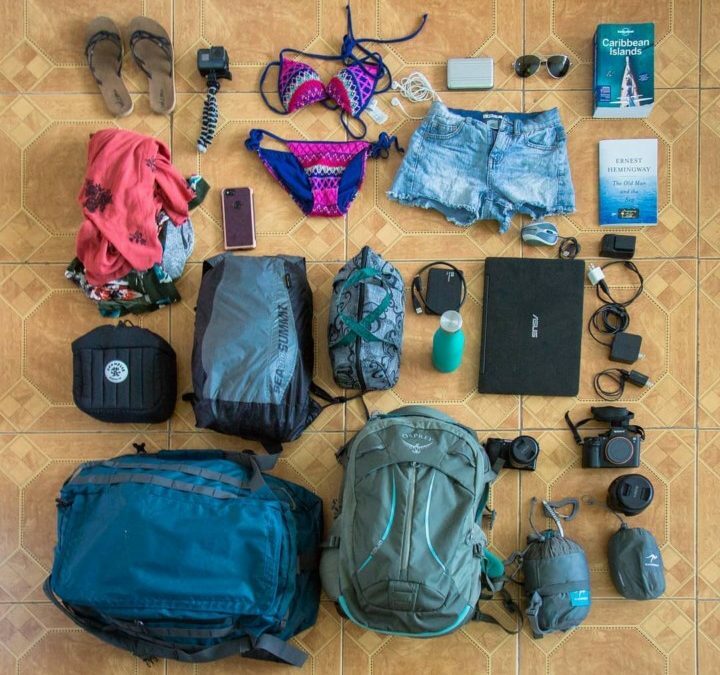 When I’m traveling, I’m always switching bags depending on the activity so this is a perfect way to bring my camera without needing to bring dedicated camera bag. 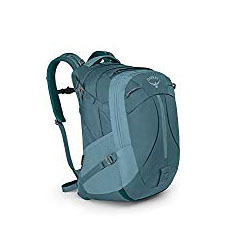 Osprey packs are my favorite because they have designs made for women, and the back support is also really comfortable. I have a very small frame and a bad back, so having a great backpack that fits well is really important. The back support is a rigid mesh and holds the rest of the bag out off of your spine and puts more of the weight on your hips. I also try to travel with carryon only, and this bag usually fits under the seat and has room for all of my camera gear. This tripod is compact enough that I can fit it inside most bags instead of strapping it to the outside. The carbon fiber is also a lot lighter than a typical metal tripod. I’m always trying to save space and travel as light as possible so this tripod is a must. 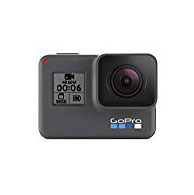 GoPro’s come with so many attachments they could end up using more space than a regular camera. I’ve found the Gorillapod to be the most versatile attachment so when I’m using my GoPro, it’s usually always attached to this. For everything else, there’s duct tape. 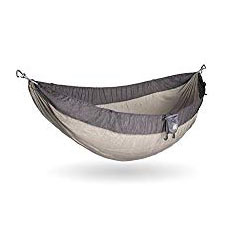 Not camera gear, but my hammock is one of my favorite things to pack. It’s big enough for two people, super lightweight and you can even camp in it if you want to skip a tent. You can even clip it on to the outside of your bag to save space and Kammok hammocks also come with a lifetime warranty.